Spiritual abusers can sometimes be excellent speakers. They can use that “gift” to abuse. I’m nearing the end of my first year of college and in the next couple of weeks will be really busy working on the final project in my statistics class which is worth a lot of points. We have separated into groups and each group has to create two separate “live” newscasts discussing homicide rates and gun ownership. 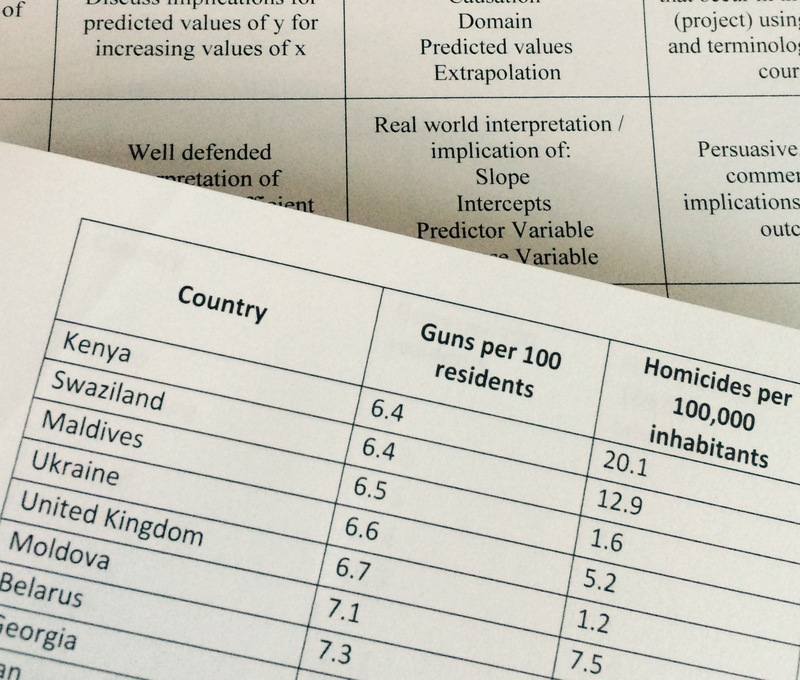 We were given a sheet of paper with a listing of countries, including data on how many guns per 100 residents and the number of homicides per 100,000 inhabitants. Each group will then split into two groups: one of the groups is to take the data and use it in a way to intentionally lie to the audience about the message they want to present about gun ownership and homicides. The second group is to explain why the first group lied using statistics to back up their claims. The second group must convince the audience that the first group intentionally lied to sway their thinking. Let’s face it some people intentionally lie and manipulate us to support them and their agenda. My spiritual abuser did that. Was your spiritual abuser a good speaker? Mine was. Chuck O’Neal could own any stage in front of a sanctuary. He knows how to capture an audience. He tells cat jokes. He hates cats. Even if you owned and loved cats, you would probably laugh at his cat jokes. He loves food, and especially desserts. The church audience always connected with his stories on desserts. I mean, really, who doesn’t like desserts? His voice commanded attention, he shared jokes and personal stories to draw us in. He had good voice inflection and diction. The gestures he used with his hands backed up what he was saying. He was convincing. He was compelling. He was believable. We felt at odds if we didn’t believe him and had to recheck ourselves, and many times were swayed to his ways of thinking because his words and tone and emphatic stance caused us to second guess ourselves. Well, he is the pastor, right? He’s called by God to lead and guide us, right? He wouldn’t do us any harm. He must be right. I must be wrong. Do you see how this works? Here’s the deal, you may now have a good pastor who knows how to speak well. Good speaking techniques can sell and manipulate, but they can also be used to bless, encourage, and shepherd. We have to be discerning and not let a good speaker’s talents lure us in to their ideologies based on their talent. Take a look at this video. If you have sat in church pews listening to someone who can speak well, this video might show you how we got suckered into a situation in which someone used their words, speech, poise, confidence, and position of spiritual authority to reel us in emotionally. It is excellent. Did your spiritual abuser employ similar methods? Next postUpdate on Alecia Pennington, Homeschool Alumna with No Legal Identification for Job, College, Passport, Driver’s License, etc. *shudder* My “dad” actually teaches other people how to speak for a living. He can make anyone believe anything– regardless of the facts. I think he might have even gone to TEDx. I think this is a problem in churches with lengthy sermons, and those that generally over-emphasise the sermon/pastor. Pingback: » Was Your Spiritual Abuser a Good Speaker? That Will Stephen video is a hoot, JA. If only I’d thought of speaking about nothing! Oh wait, some people say I do that just fine already. What I would like to know is whether there is a statistically significant correlation between psychopathy and the hatred of cats. My theory? Psychopaths hate anybody and anything they cannot control. Good post today, Julie Anne! My theory? Psychopaths hate anybody and anything they cannot control. Yea, that’s a good point, Gary. I don’t know of many trained cats. Thanks for sending me the video, Kathi! I got one about 15 minutes ago and just responded 🙂 Thanks! Thanks Julie Anne I will check it out. My former pastor is not an exceptionally good speaker. I would go as far as to say that most people disagree with some of this authoritarian points, and roll their eyes when he goes on a crusade. Where he is able to control people is by the fact that he is actually a sensitive guy and can be very generous. This makes him the type of guy that can get away with things for a long period because people are afraid to disappoint him or hurt his feelings. But if you get on his bad side and do not support his decision, he will make your church life miserable and force you into a bogus church discipline process. We were placed in church discipline because something felt amiss with the atmosphere of the youth ministry, and we wouldn’t let our own teenagers participate in it. I stood my ground and was ultimately “allowed” to keep our family away from it. At least one of the leaders was later charged with molesting a child in the youth group. That was the wisest act if disobedience I ever committed. I still have never received an apology for that, even though it was clear that I was right about my observations and right to distance myself from the ministry. He is a textbook example of why a pastor is not the ultimate authority in anyone’s life. God made various authorities, including parental authority, and that supersedes a pastor’s wishes, when they are in conflict. Church discipline because you kept your teens from the youth ministry? I didn’t know that was something that was mandatory. Wow. My ex-pastor interfered with the parenting, too. He would strongly suggest, but people felt like they had no choice. There were consequences to be paid if you didn’t go along with his way of doing things. I thought it was interesting that you said your pastor controlled by his sensitivity. That makes sense. My mom and I have always believed that an intense hatred of cats is a warning sign in any man we meet. We have never had an experience that contradicted that theory. I agree with you– I think they can’t handle something that isn’t codependent. And for the record, that’s the line I’d draw. I see very few “great” speakers in pulpits–meaning guys like JFK, MLK, Thatcher, FDR, Churchill, Reagan–and I’ve seen the preaching of a few of the “pastors” profiled here on video. However, I can think of a lot of guys (a couple of whom I consider either incompetent or abusive) using a lot of manipulative tactics from the pulpit. How to defuse the manipulation? Reference facts from outside authority. The manipulative speaker is doing so because he’s (a) not willing to do his homework and learn things and (b) nobody’s calling him on it. You may need to leave a church–I’ve done so twice after pointing out problems with teaching where the pastor didn’t clue in–but at least it will (like Puddleglum) put your foot in the fire and break the witch’s spell. When I was little my grandmothers cats attacked my father all the time, I was a young child and they never attacked me. Is it odd for cats to attack a man for sitting in a recliner not looking at them or touching them? My father hated cats and they hated him. My uncles cat attacked him also. Also, if the recliner you speak of was a favorite spot of theirs, they might have been trying to kick him out of it. Very sweet cats can be surprisingly territorial, and territory fights are often particularly fierce. Spouse and I were watching a cat video the other day done by a male cat owner. Clearly he and his cat loved each other. I remember being impressed with the gentleness and affection that man had for his cat and thinking I bet there’s not an abusive bone in that guy’s body. It also made me wonder if there was something about good guys and cats. Perhaps there is something to it. So that explains it. My wife has a knack for domesticating feral cats, and we’re perplexed why they keep picking on each other. There’s probably a spiritual application here somewhere, but it escapes me at the moment. Maybe just that, before deciding to attend a church, it would be a good sign if the pastor has filled the parsonage with friendly, affectionate, formerly feral, cats. I am about three years out from my excommunication from a church whose hallmark was the “great teaching.” At the time I bought it. Now, sober from the kool-aide I drank for decades, I realize with chagrin that handing out “sermon notes” with alliteration to help us takes notes (example: notes contain 4 sentences with one word missing from each, with all of the missing words beginning with an “a.”) This was juvenile milk of the word parading as scholarship. I am embarrassed to think I considered that I was being “equipped with the word” for so many years, all by pastors and elders who could not exegete their way out of a wet paper bag (to quote another commenter). I don’t currently have anyone I call rabbi, but I never miss a sermon by NadiaBolz-Weber at House For All Sinners and Saints, despite her bit of controversy these days. In 10-14 minutes, a sermon is preached that leaves me breathless with the mercy of God, not with how I can apply the teaching to my life. Yes, my x pastor was a smooth/slick talker, and boy could he ever talk, er I mean preach. I was so duped by him, it boggles my mind today. O and his vocabulary was so impressive, I remember looking up words he used in the dictionary, he put on such a great show. When he got his Ph.D he no longer wanted to be called by his first name, it was now DR. He named dropped John MacArthur as his mentor. #wishiknewwhatiknownowwheniwasyounger. Pretty sure I am not the only one singing that line from an oldie. Not to mention the number of serial killers who started their killing sprees by torturing & killing cats while they were still children. In fact, one of the “homicidal triad”[indicators of sociopathy/psychopathy] is torturing small animals (especially cats). I am sure you are aware of all the abuse, sin and hypocrisy that was revealed about him. What is even worse is that despite the revelations so many “Reformed” Leaders” supported Mahaney. I am sure the person doing the imitation did this from jest but it just shows how Mahaney’s mannerisms work. I think that just because someone is a gifted speaker and seems sincere people assume this speaker must have good character etc. We have found that people shouldn’t assume this. Ugh – I’ve seen that before, Steve. The impersonator did a great job of imitating CJ. I’ve looked at random YouTube’s of CJ and if you turn down the volume, his body language screams: look at ME. Gail – I like your comment about pastors using big words. I think that this is done a lot. They’ll use big words to sound more intelligent than they really are. Kevin Swanson does this all the time and it drives me batty. I swear he makes up half of those words. Julie I agree with what you said about C.J. Mahaney. Sad but true. Sovereign Grace Ministries that C.J. led has a lot of similarities that was described in that book. Another comment on C.J. Mahaney is it is baffling that Mahaney could teach on Phil 2 ater all he did. The above is another one of my blogs. Good article, Steve. It’s just like CJ writing the book on humility. What he writes and preaches is for everyone else, ya know?! It is hard C.J. can teach this and write a book on humility and then did all that he has done. Have you seen this? Interesting how Carolyn Mahaney (C.J.’s wife) can write and seem to portray herself as a victim. Where is the admittance that their own sin and actions brought this upon them? It is as if you just can’t make this stuff up. Does Carolyn and thus C.J. Mahaney have no clue that it mostly their actions that has brought all of this upon them vs. betrayal by friends? Is their not any type of ownership that their own actions caused most of this. Why isn’t there even the suggestion to accept partial responsibility or pray and consider what part they may have had in their plight? It is sad to ready Carolyn write as if she is victim.